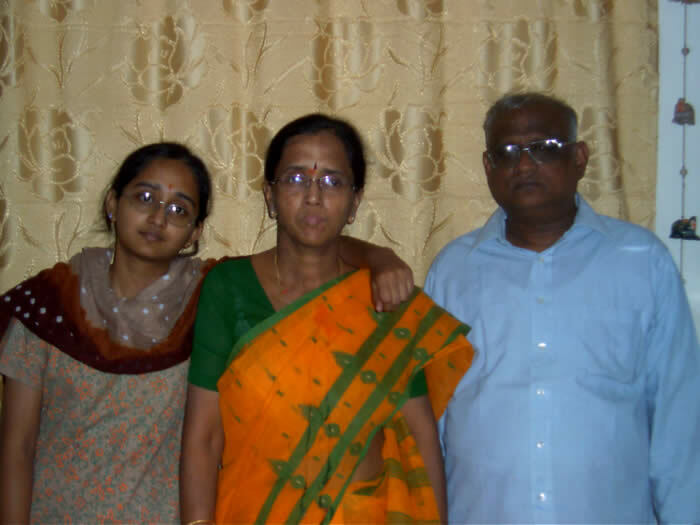 Srinandini Parthasarathy, daughter of my sister-in-law Geetha Parthasarathy and co-brother Prof. R. Parthasarathy, left for San Francisco, U.S.A. on 14th August 2006. She proceeded to the U.S. to pursue her higher studies in Environmental Science. Srinandini has been a very bright student since her childhood and has always scored the best of marks all through her studies. Her brother Bharath Srinivas (Govind) is pursuing his studies in Chennai, India.